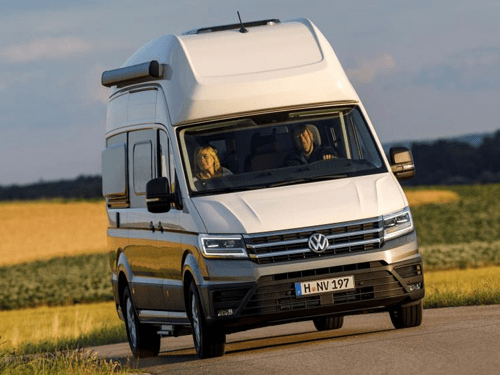 The Volkswagen California is one of the most popular camper vans available, and for good reason. 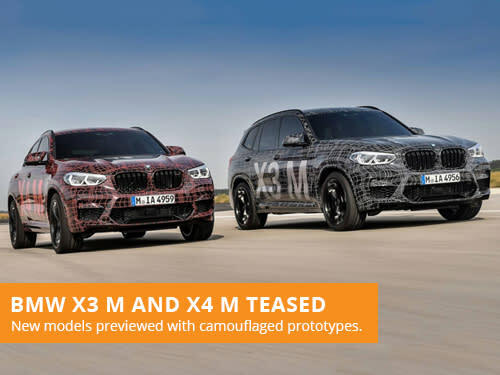 Many were eagerly awaiting a larger model, with the automakers teasing the possibility with a California XXL concept last year. 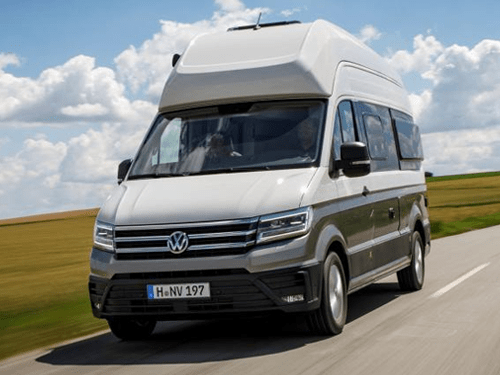 Now the official production model has been revealed, the Volkswagen Grand California - with the ultimate offering in terms of both occupancy space and comfort. The new model is over a meter longer than the existing model and has a higher roof that measures in at almost three meters tall. 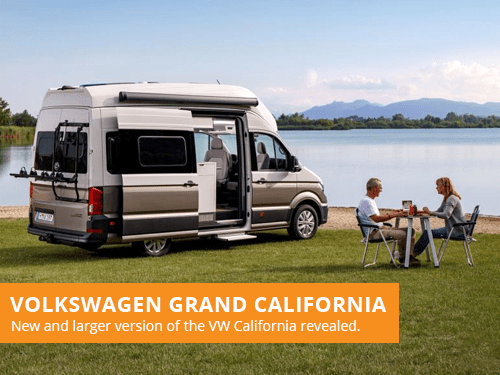 This all results in ample room inside the Grand California, where adults can easily stand upright inside the new model. 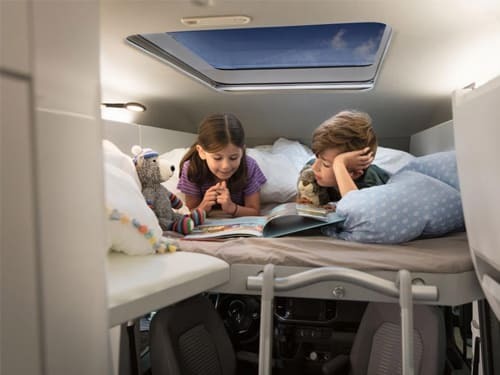 There is also enough space for a double bed to the rear of the vehicle, with a optional higher alcove that is ideal for two children to play and sleep. Standard equipment is very generous and includes a table for four, rotating front seats, Bluetooth connectivity and an electric step for accessibility. 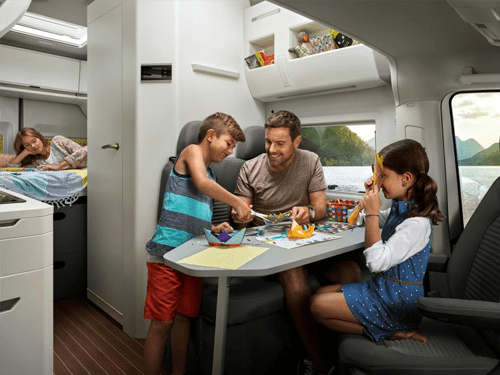 Other optional equipment includes a panoramic skylight, roof-mounted air-condition, rear bicycle rack and a stowable camping table with chairs. The Volkswagen Grand California will make its public debut at Düsseldorf in the Caravan Salon later this month, where more information will be released. If you are looking to lease a Volkswagen, take a look at our offers. With over 36 years of leasing experience, we are one of the most established brokers in the industry. Our leasing consultants focus on providing great customer service over our own profits. 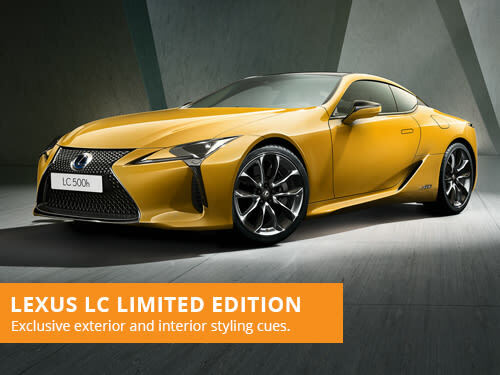 Lexus have launched a limited edition of their LC sports coupe, with exclusive and vibrant styling cues for the models exterior and interior.